Istanbul: Turkish President Recep Tayyip Erdogan’s AKP suffered a major blow in Sunday’s local election with the ruling party set to lose the capital Ankara and risking defeat in the country’s economic hub Istanbul. Losing Turkey’s two major cities would be a clear setback for Erdogan and his Justice and Development Party (AKP) who won every vote in a decade and a half in power thanks in part to economic growth. The Turkish leader campaigned hard portraying the vote for mayors and district councils as a fight for survival, but the election became a test of AKP’s support as an economic slowdown took hold after a collapse of the lira currency. With 99 percent of the ballot boxes counted, the joint opposition candidate for Ankara mayor, Mansur Yavas was winning with 50.89 percent of votes and the AKP on 47.06 percent, Anadolu state agency reported citing preliminary results. In Istanbul, Turkey’s largest city, the race for mayor was deadlocked with the AKP candidate claiming victory with 48.70 percent of votes, but his opponent on 48.65 percent also saying he had won, after almost all ballot boxes were counted there. He said suggested if his party lost in Istanbul, they would still control district councils even if the opposition held the mayor’s office. In Ankara, Yavas — the candidate for both the opposition Republican People’s Party or CHP and the nationalist Good Party — claimed victory in a large rally full of supporters waving red Turkish flags and setting off fireworks. “No one has lost. Ankara has won. 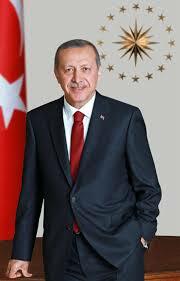 All of Ankara has won, hand in hand,” he told supporters. “Erdogan is known with his success in the local elections and his model of government is highly based on his local experience,” Emre Erdogan, a professor at Istanbul Bilgi University and no relation to the president. In Istanbul, a city where Erdogan had sometimes described victory as like winning Turkey itself, the race had been very tight. Erdogan fielded one of his loyalists, former prime minister Binali Yildirim, in a push to win the city. Erdogan, who began his own political career as Istanbul mayor, personally campaigned hard across Turkey, often with several rallies a day, even though he was not on the ballot. He was often rallying in Istanbul’s districts. “We have won the election in Istanbul. We thank Istanbul’s residents for the mandate they have given us,” Yildirim told supporters as final tallies were arriving. “I would like to announce to Istanbul’s residents and all of Turkey that our numbers show that it is clear we won Istanbul,” Imamoglu said in a speech in the early hours of Monday. But rights activists and even Turkey’s Western allies say that under Erdogan’s leadership, democracy has been eroded, particularly after a failed 2016 coup that led to tens of thousands of people being arrested. Observers say that with most media pro-government, opposition parties campaigned at a disadvantage because Erdogan’s daily rallies dominated TV coverage. The opposition pro-Kurdish Peoples’ Democratic Party (HDP) has refused to field candidates in several cities, saying the elections are unfair. Some of its leaders have been jailed on terror charges, accusations they reject.